Superfoods are nutrient-rich foods considered to be especially beneficial for health and well-being. These powerhouse foods are known to have high doses of antioxidants, polyphenols, vitamins, and minerals that can help us ward off diseases and live longer healthier lives. In his clinic, Dr. Schulze had many patients who, because of their broken down and diseased bodies, couldn’t digest and utilize the nutrition from their food, nor their medical doctors’ pills or even injections. They were dying because they were running so low on quality nutrition to build healthy cells. 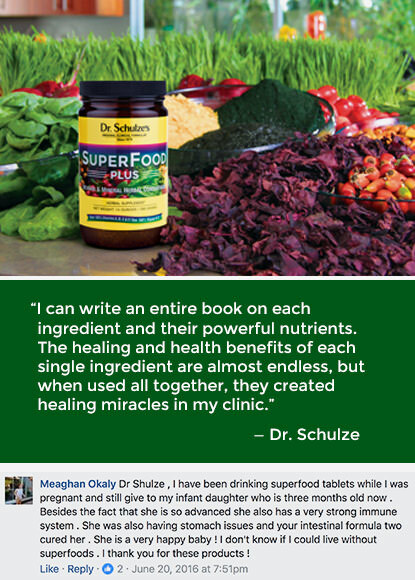 Dr. Schulze designed his SuperFood Plus to be a rapid-assimilation, rapid-deployment, nutrient-saturated, plant-based vitamin and mineral concentrate. He then prescribed this potent blend of herbs and plants to all of his patients and the results were nothing short of life changing! Dr. Schulze’s Top 10 SuperFood List? For over 37 years, Dr. Schulze has been working with herbs, plants, and superfoods to help his patients and customers Create Powerful Health Naturally. 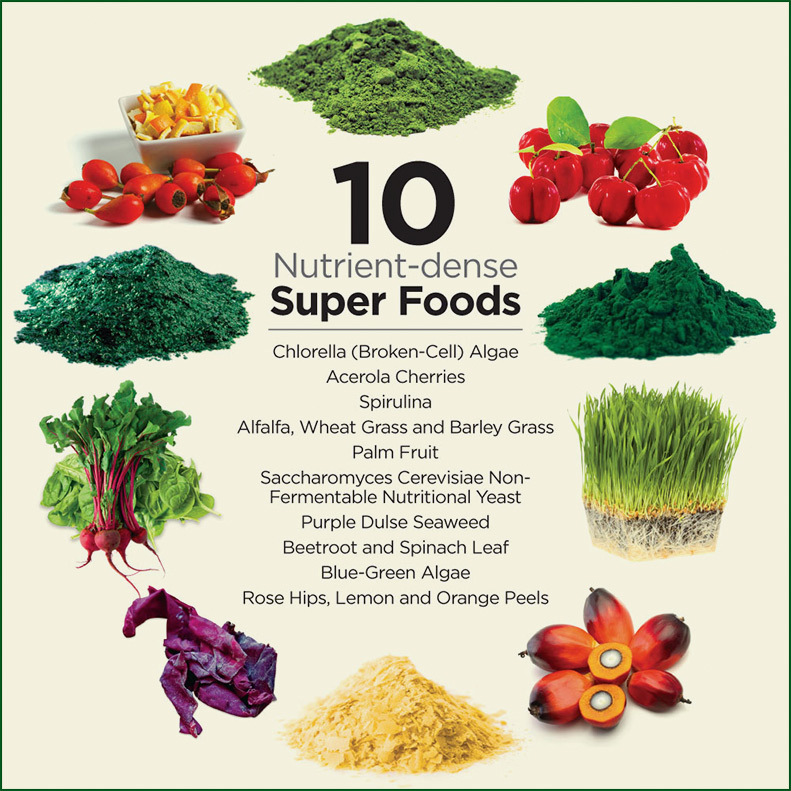 The following 10 superfoods—all used in his SuperFood line of products—are some of the most nutrient-dense herbal and plant foods on the planet!